It’s a very rare boys’ name ending with o. Thanks to Innigo for suggesting we feature his name! 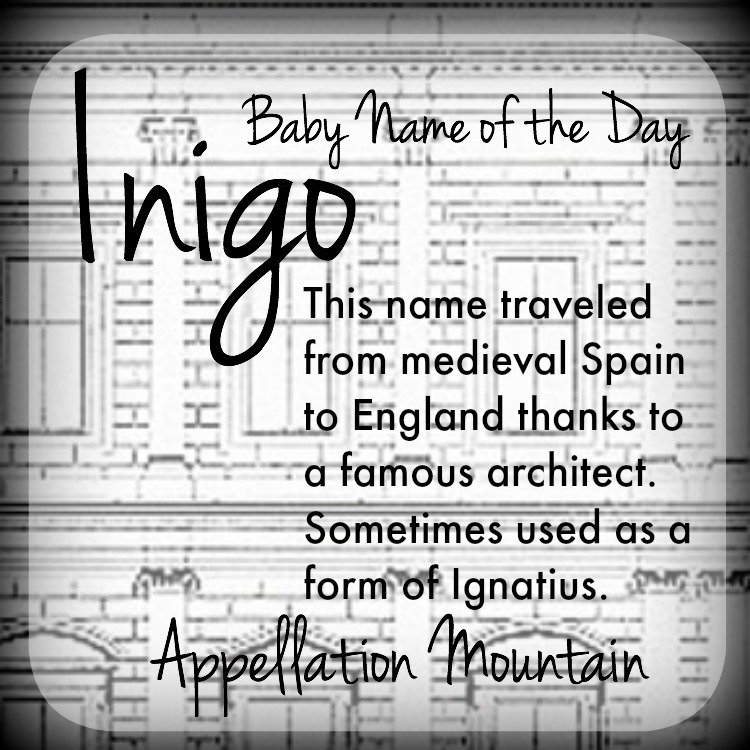 Our Baby Name of the Day is Inigo. The first notable use of Inigo in English probably came in 1573. That’s the year that architect Inigo Jones was born in London, the son of a Welsh cloth worker. It’s said that Jones was named after Saint Ignatius – more on that in a minute. By the early 1600s, Jones had become a significant force in architecture, designing buildings, as well as an influential area plan for Convent Garden. He redesigned part of Old St. Paul’s Cathedral – pictured above – which stood until the Great London Fire. 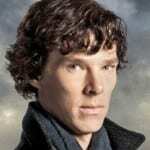 He also collaborated on several theatrical productions. His name must have been unusual for the day. At one point, it’s mis-recorded as Henygo. The future Saint Ignatius died in 1556, just a few years before Jones was born. Ignatius wasn’t formally canonized until 1622, though it’s reasonable to assume that he could have been well-known during his lifetime. Some sources claim that Jones was a junior, but would Ignatius of Loyola be well-known enough to influence naming even sooner? Of course, he wasn’t the first saint to wear the name. 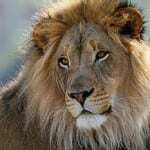 Ignatius of Antioch served as a bishop way back in the first century AD. We do know this: Ignatius of Loyola was actually born Inigo, the most common medieval Spanish form of Eneko, a name that was Basque in origin, and may have even older roots. In Spanish, the name is correctly spelled Íñigo. And here’s a curious note: the Wikipedia page claims that the name “gained a limited popularity in Wales.” But I can’t find any evidence to support that claim. It appears that Ingio and Ignatius were accepted as related names for generations, even though they have separate roots. History records a King of Pamplona from the ninth century, as well as other high-ranking Spanish aristocrats and religious figures over the centuries, including a handful of football players in recent years. But the figure that will likely come to mind for most parents in the English-speaking world is Inigo Montoya. 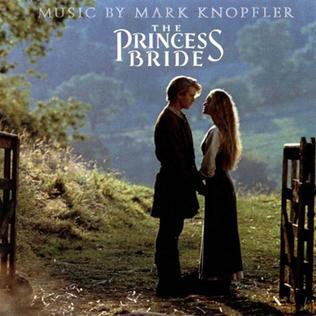 William Goldman invented the Spaniard for his 1973 novel The Princess Bride. Mandy Patinkin played Montoya in the 1987 film classic. Montoya is a skilled fencer, seeking revenge for his father’s death. He’s part of the crew sent to kidnap Princess Buttercup. Ultimately, Montoya completes his quest and sides with Westley just in time for the happy ending. The movie is surely why the obscure Inigo still seems familiar in the English-speaking world. 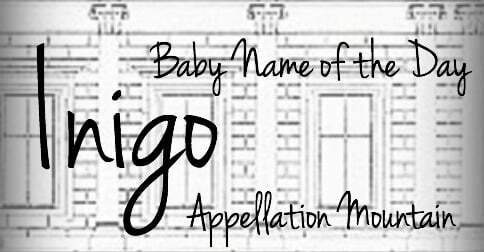 There have only been a handful of newborn boys named Inigo, starting around 2000. Ten were born in 2014, which is a tie with 2009. Inigo is undeniably a rarity. With boys names ending in ‘o’ so popular, that seems a little surprising. Perhaps it’s because Inigo doesn’t seem especially popular in the Spanish-speaking world. Or maybe American parents feel that pronunciation is challenging. In American English, I usually hear ehn-EE-go, but in British English, I’ve heard the emphasis put on the third syllable instead. And it’s definitely different in Spanish, where the ñ has a softer sound. 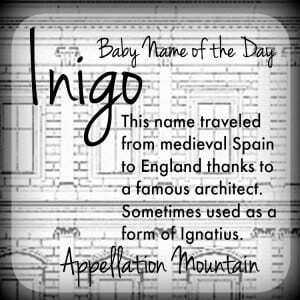 Overall, Inigo may not be widely used, but I suspect that many would recognize this name – and it might wear well on a child born today. Do you think Inigo is wearable in 2016? Or is this name best left to the history books and the fairytales? My son was born in 2015 and we named him Inigo. We get some raised eyebrows and usually end up giving people a history lesson on the Architecture of Inigo Jones, but we love it! It’s really unusual and, given his outgoing nature, I know he will wear it well as he grows. 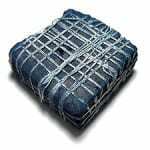 Interestingly, children never struggle with it, as to them, all names are fairly new to them, it’s normally grown ups who get confused and think it’s Indigo! Maybe not a good choice for a conservative family, but we are quite arty, so it suits us. Unusual names are always a bit of a gamble, but if you live in a big city, you can get away with anything at all! I have an Inigo! We are British and we do get the odd raised eyebrow over our name choice but also lots of people who love it. It’s very unusual, most people mishear it as, Indigo, but after a quick lesson on the architecture of London, and Inigo Jones, they get it! We call him Ini, and he’s a real character, I just know that he’ll pull off his unusual name. I’m glad we chose it! I live in England, and I’ve always heard the emphasis put on the first syllable: IN-i-go. 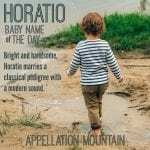 I love, love, love this name! Love, love, love Inigo. I do worry it’s too tied to The Princess Bride for most people. At the same time, The Princess Bride keeps it from being just completely unheard of and unfamiliar to many people, which is another obstacle. I like this one, but I prefer the British pronunciation. I dated an Inigo during university in the UK, I liked his name pity he didn’t live up to it though.